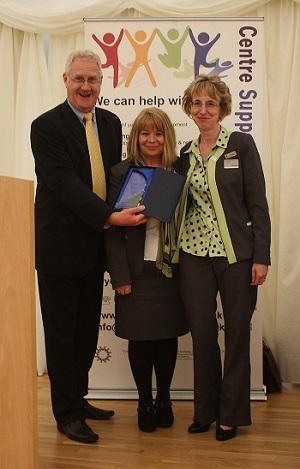 Accepting the very first Chelmsford 4 Good Employee Volunteer of the Year Award (sponsored by The County Hotel, Chelmsford) were Sue Priem and Mel Lee from Chelmsford Marks & Spencer. Congratulations to Fastsigns who are the first business in Chelmsford to be awarded the Chelmsford 4 Good Supporter Certificate. Fastsigns kindly donated two pull-upbanners in order to help us promote this project across the city. Merchandise gurus help Chelmsford’s charity shops. Shoppers may have noticed changes a foot in the window displays of local charity shops. Recently, 15 representatives from eight local charity shops attended a tailored training event delivered by the Visual Merchandise team of M&S Chelmsford to learn about window and shop dressing. It was an opportunity that money could not buy. We were so impressed by the attention to detail M&S put in to this event.